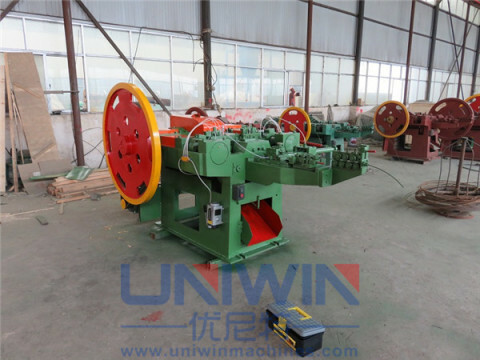 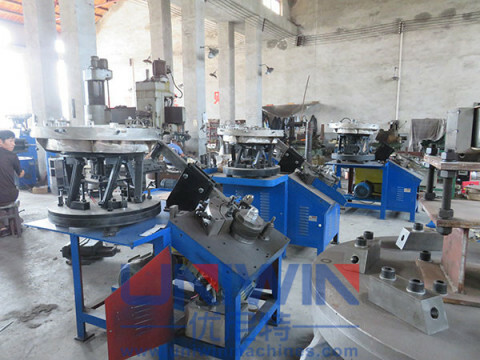 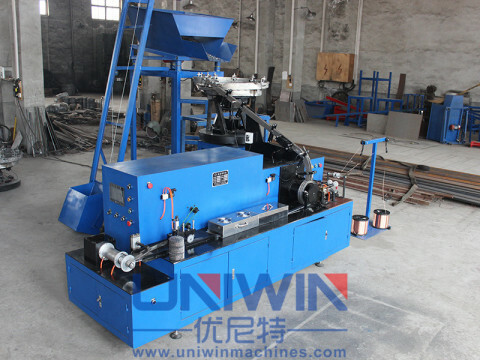 Coil nail making machine is also called coil nail collator , it is a kind of nail making equipment to make coil nails used in nail gun .The coil nail is composed of a certain quantity of same shape nails with same distance, connected by copper plated steel wire ,the connecting wire is in a direction of β angle with respect to the center line of each nail, then rolled in coil or bulks.Coil nails can save efforts and improve productivity greatly. 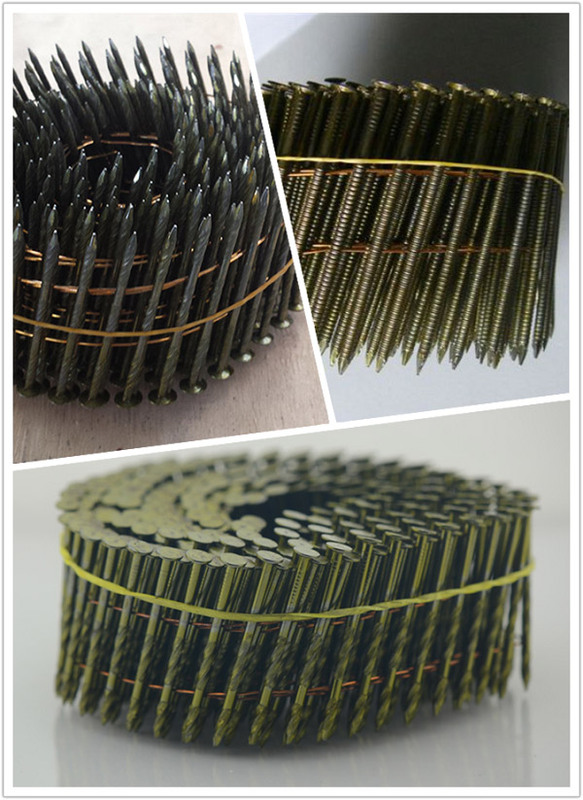 Making wire nails first ,after getting wire nails ,use the thread rolling machine to get different kind of threaded nails ,ring shape or screw shape etc ,after this ,put these nails into the Vibration plate so that they will be feed into the coil nail making machine and be welded into coils . 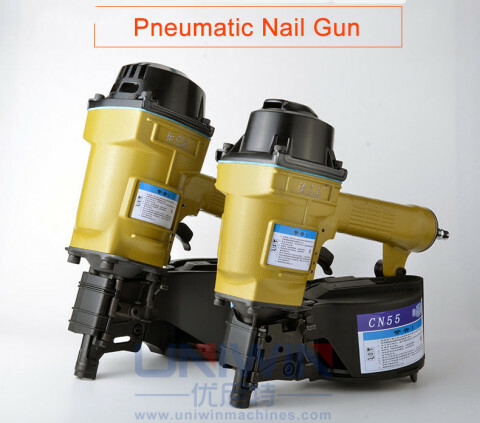 Remarks :we can customize the moulds for different size of nails . 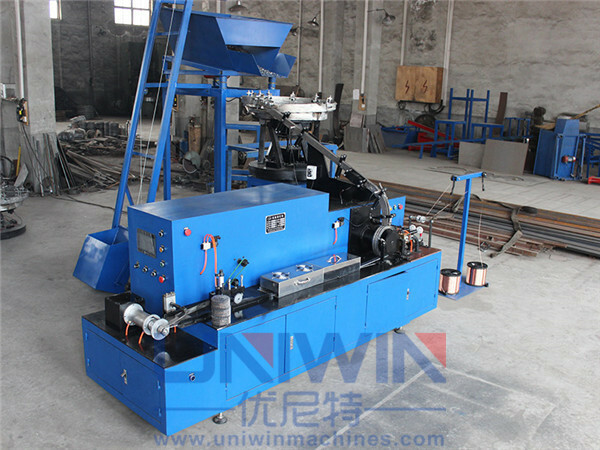 This is a video of the coil nail making machine working in our Chinese customer factory , you can see in the video of the welding speed 2300 pcs/min. 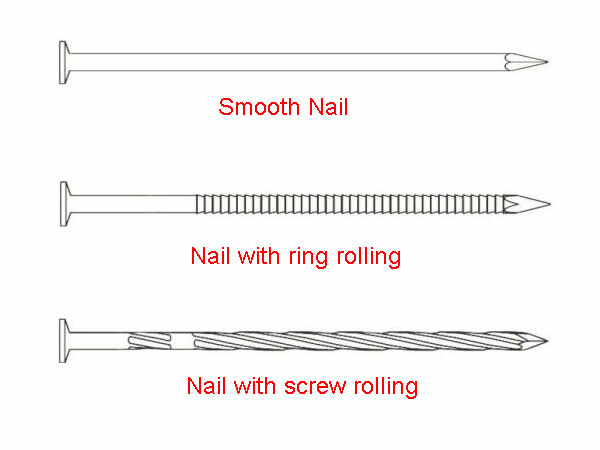 Coil nails can be used in many places such as construction ,assembly of various wooden container (pallets ,europallets,wooden boxes ,furniture,etc).